Root canal treatment can provide relief when patients are dealing with serious pain, tooth sensitivity, and tooth pulp damage. 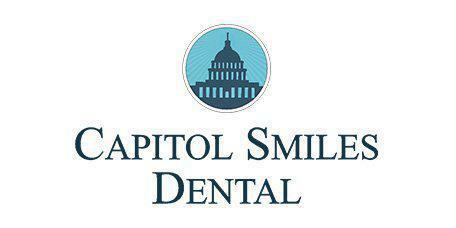 At Capitol Smiles Dental in Trenton and Ewing New Jersey, the dentist can save the tooth and preserve your smile through root canal therapy. A root canal is a surgical procedure that removes damaged and decayed tissue (tooth pulp) from the middle of the tooth. Root canals are performed on teeth that are damaged before the damage spreads to other teeth or the gums. A root canal can save a tooth that might otherwise have to be removed. What are the signs that a root canal might be needed? Pain in the tooth is usually the biggest sign that there may be damaged tooth pulp. The pain usually occurs when biting down, although it can also happen when drinking iced drinks or very hot drinks. In some cases, significant swelling may develop around the damaged tooth, and the gums may be irritated as well. All of these signs can indicate serious problems, but the tooth can be saved in some circumstances. If patients see the dentist at the first sign of a problem, the odds are good that a root canal can preserve the tooth. The patient receives a local anesthetic, which numbs the tooth and the area immediately around it. The dentist uses specialized dental tools to extract damaged pulp from the tooth. The canal is cleaned and sealed to prevent more damage from occurring. Finally, a temporary crown is placed atop the tooth while the dentist places an order for a permanent crown. The permanent crown is made in a dental lab using a mold of the patient's mouth for a perfect fit. What kind of care is needed after a root canal? After a root canal, patients need to use caution when chewing. If possible, it's best to avoid chewing on the side where the root canal was performed. Brushing and flossing can continue as normal, but patients should avoid exerting any force on the tooth until the permanent crown is in place and the mouth is fully healed. Patients may have some discomfort for a few days after the root canal, but this can be managed with over-the-counter pain medication.